Psychoanalyst and former chair of the Melanie Klein Trust, she explored how patients develop defence systems to resist change. Betty Joseph, who has died aged 96, was one of the most influential psychoanalysts of her generation. Her particular contribution lay in exploring how patients mobilise systems of defence to resist change that threatens them with anxiety. Isla Lonie grew up in a New Zealand where physics and chemistry were not offered at her high school, because what reason would girls have to study them? Even after catching up with the subjects, she had to go against family opposition when she wanted to study medicine but went on to be one of NSW’s leading psychiatrists. Isla Ellen Frew was born on April 2, 1936, in Christchurch, New Zealand, the elder of two daughters of John and Ann Frew. After high school, she was one of 10 women accepted to start medicine at the University of Otago in Dunedin in 1953. There she met David Lonie and they were married after a whirlwind courtship. The couple graduated in 1960 and, after a few years working in Gisborne, in 1964 decided to move to Australia, where they were offered posts at Morisset. They continued their psychiatry training together, each completing a diploma in psychiatric medicine and then gaining membership in the Royal Australian and New Zealand College of Psychiatrists (RANZCP). They played prominent roles in the development of the college and, particularly, in establishing training within it. The Lonies worked in harmony in their professional lives, although David moved on to child and adolescent psychiatry and psychotherapy and Isla focused more on adult psychotherapy. They also shared parenting at a time when that notion was unheard of; they managed an equal distribution of time for career, study and children. The Lonies were part of the group that founded the NSW Institute of Psychotherapy, now the NSW Institute of Psychoanalytic Psychotherapy, in 1976, to promote dynamic psychotherapy when it was disappearing from university courses in NSW. Isla Lonie was president of the institute for many years in the 1980s. The couple were also involved in setting up the Australian Association for Infant Mental Health in the 1990s. In the RANZCP, Lonie served in various capacities, including as federal councillor and on the section of psychotherapy. A task she put her heart and soul into was establishing the advanced training in the psychotherapies for the college. The first intake in 2001 was the culmination of her two years’ work to develop the course. Lonie worked hard in her clinical practice, in which she had an enormous breadth of experience and many grateful patients. She used this experience mentoring, supervising and lecturing to several generations of trainee psychiatrists. She was a regular presenter and participant at college congresses and contributed work to the college journal and elsewhere. In 2003, she received a college citation for her contributions. As well as their passionate interest in psychotherapy, Isla and David Lonie shared a love of music, with season subscriptions to opera, concert and theatre. They enjoyed travel and managed to cover much of the globe as well as spending weekends at their place at Pearl Beach. Lonie’s interests and expertise stretched beyond psychotherapy to include topics such as chaos theory and she had a great talent for homemaking and for handcrafts; the achievements of her professional life were matched with a prodigious output of handknits for her family. Her talents were so various that she could work meticulously on fashioning a papier-mache chess set for each of her children, or laying bricks in the garden, painting the house, making the curtains and producing each year’s Christmas puddings. She not only wrote for professional publications but also wrote plays, several of which were performed. Her home was always open, there was always a bed for a travelling colleague, and she could just as readily provide an intimate soiree for a small gathering of colleagues or host a gala event for friends and family. Yet that generosity of spirit and openness to all was complemented by fearless political convictions that one might challenge at one’s peril. She also enjoyed playing bridge and croquet. 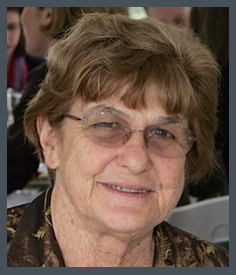 Lonie retired from clinical practice in 2010 but was still supervising students for the RANZCP until a few weeks before her death. Isla Lonie is survived by David, their children, Rachel, Catriona and James, and partners, seven grandchildren and her sister. Frances Daisy Vickers, child psychotherapist: born Darlington 15 October 1913; married 1948 Arnold Tustin (died 1994); died Chesham, Buckinghamshire 11 November 1994.